Developed by Cyanide Studios. Published by Focus Home Interactive. Released on 22 September, 2015. Available on PC, Xbox One (Reviewed) and PS4. Review code/copy provided by publisher. 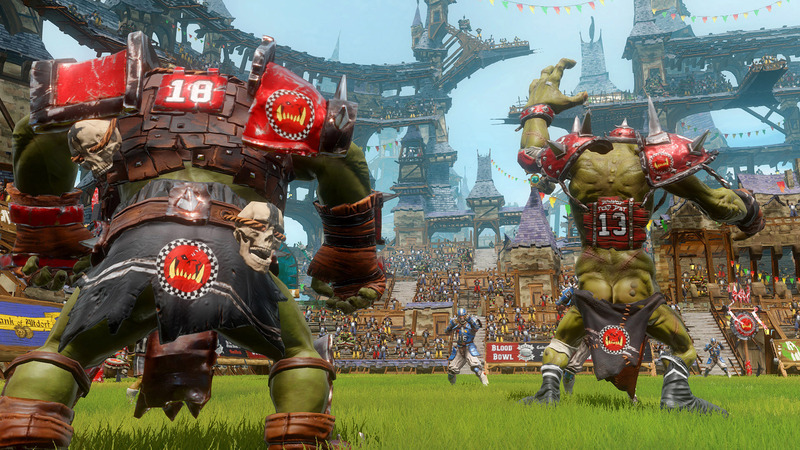 Cyanide Studios and Focus Home Interactive have mixed turn-based fantasy football with the dynamic elements of an RPG for Blood Bowl 2. While the title resembles American football, a roll of the dice decides how much blood spills across the scrimmage line. 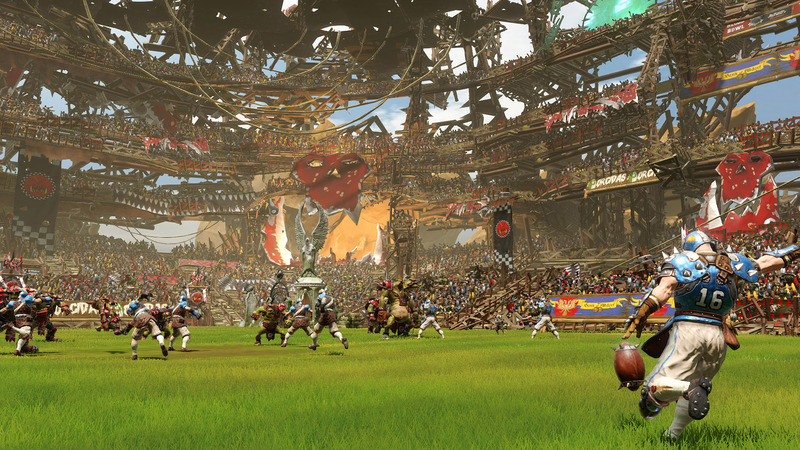 Blood Bowl 2 is the sequel to 2009's Blood Bowl, adapted from the niche tabletop miniatures game by Games Workshop. Gameplay revolves around two teams, one ball, and the skills to score the most touchdowns. Blood Bowl tries to remain authentic to its board game roots with its turn-based structure by creating a more strategic and slower gameplay environment. Based on creatures and factions in the Warhammer Fantasy universe, teams are comprised of 11 unique players from eight fictional races and species including elves, orcs and dwarves. 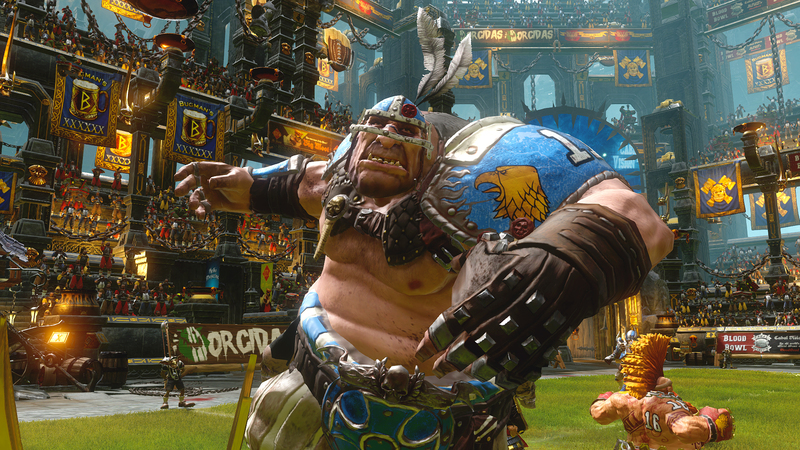 Blood Bowl 2 features customization options for personalizing your fantasy team, from uniform colors to weapons, emblems, and stadium modifications. Leading your merry band of monsters to victory starts off the field, with an enhanced team management system to recruit, upgrade and modify players for the online market. 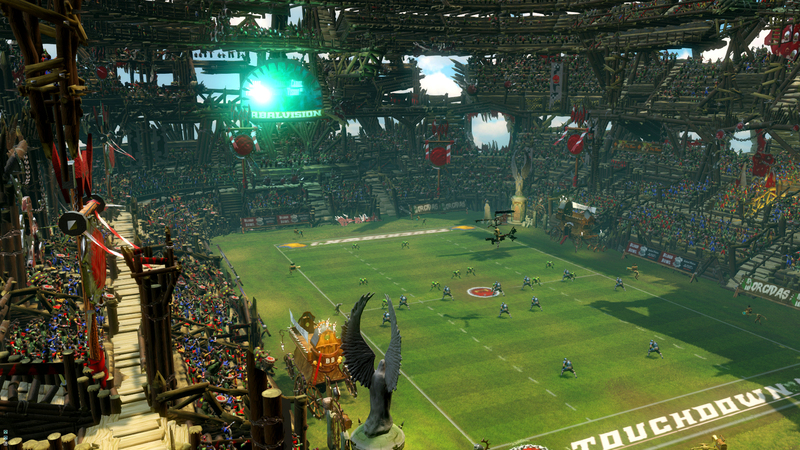 Blood Bowl 2 mimics some aspects of American Football but can be played without any previous knowledge of football or Warhammer. As someone who played high school football, I am no stranger to the rules of the game and was able to quickly jump into Blood Bowl 2. Every game starts off with the dramatic flip of a coin to decide rather you will be kicking or receiving the opening kick. The offensive team must try to get the ball to the end zone while the defensive team does everything in their power to stop them. If you score, then you gain a point - each team can score one point per turn. The player's turn continues until all of the characters on the team perform an action, timer expires, turnover occurs, or you decide to end your turn. A normal game lasts around two hours, depending on your strategic plan and unique playstyle, with around 16 turns per team. You have simple action choices like run, block, dodge, throw or attack. Movement range is based on the character's level, race and position. The ability to attack, move away from your opponent, the strength of your attacks, and performing a successful "Go For It" action all depend on the roll of the dice. Game sessions in Blood Bowl 2 are often lengthy and meandering due to annoying prompts to complete an action, or the inability to skip long animations. The campaign in Blood Bowl 2 serves as the player tutorial by easing players into various aspects of the game over the course of 14 sessions, with cheesy sports commentary from an overbearing ogre and know-it-all vampire. However, the sarcastic and dry humor between the two characters can be entertaining at times. If you land the right dice rolls, then you can finish the campaign in under 20 hours. However, Blood Bowl 2 has no difficulty settings and the randomness of the dice can lower or raise the difficulty at any time during gameplay. If 20+ hours playing solo isn't your thing, then you can head over to the multiplayer (including both local and online) and test your luck against actual human players. The features during online play are immersive and include the ability to earn Star Player Points (SPP), increase your level, and learn new abilities. 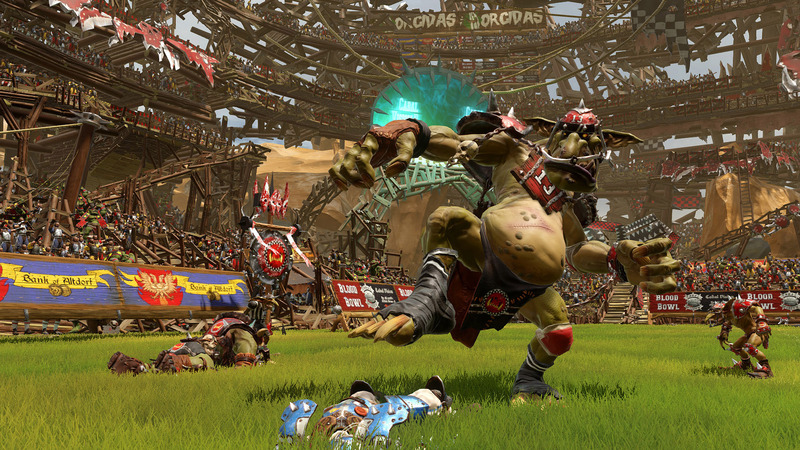 You acquire SPP by completing certain actions during matches and is Blood Bowl's version of 'experience points'. Your players can age, leave, suffer injuries, and even die in Blood Bowl 2, creating a high degree of realism and replayability. 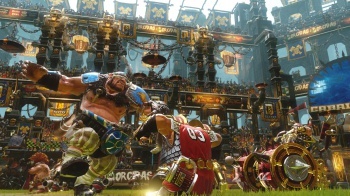 For a distinct meta-game experience, you can create and manage your own multiplayer leagues where like-minded Blood Bowl players can band together to trade and track their online progress. 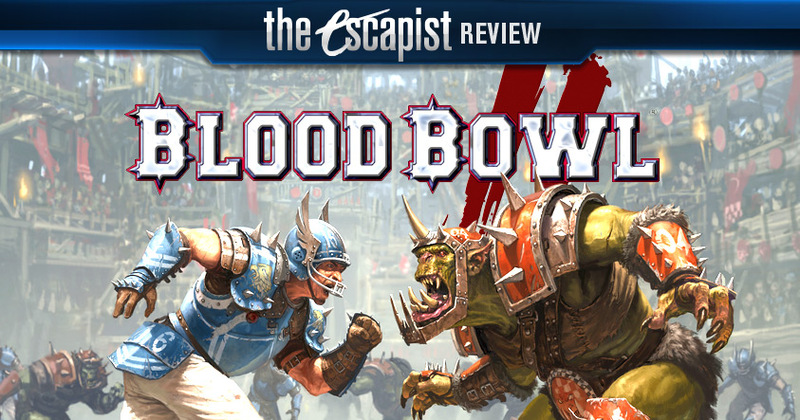 While no digital title can capture the physical elements and emotions of a fantasy board game and/or fantasy football in real life, this doesn't stop Blood Bowl 2 from trying and succeeding. 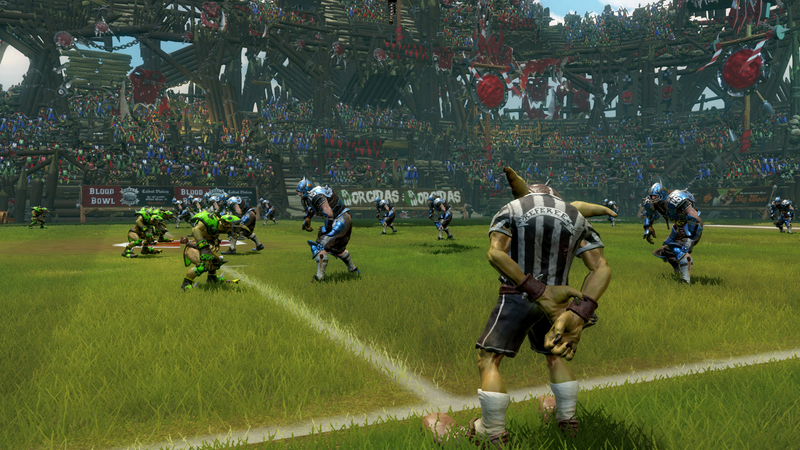 In the end, Blood Bowl 2 fumbles the ball on lengthy game sessions and insufferable difficulty spikes. Playing alone can be a chore if you're not either a sports fan or someone who enthusiastically loves the Warhammer franchise and the Bloodbowl series. The ability to create your own league and join other like-minded players in intense multiplayer sessions moves the game across the goal line. 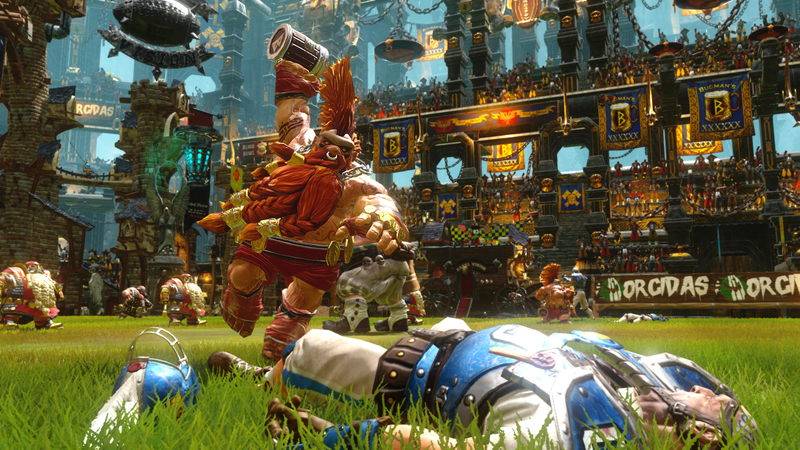 Bottom Line: Blood Bowl 2's dry humor, colorful visuals, explosive brutality, and over-the-top fantasy characters will appeal to die-hard Warhammer fans. 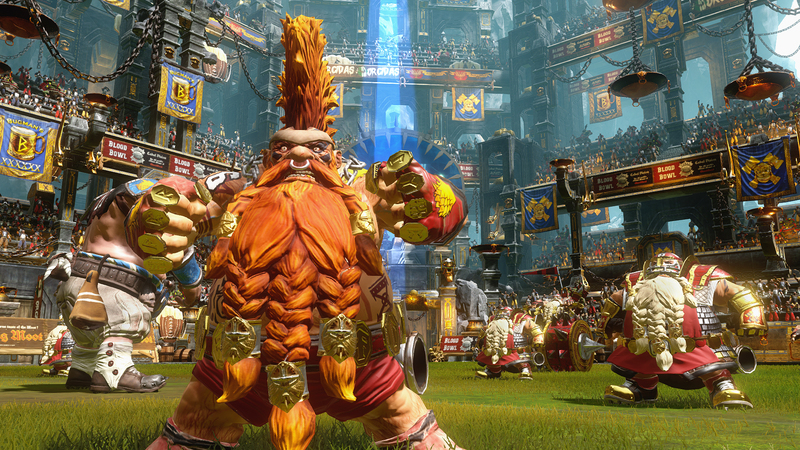 Recommendation: Blood Bowl 2 has been well adapted from the tabletop game into a fun digital world. 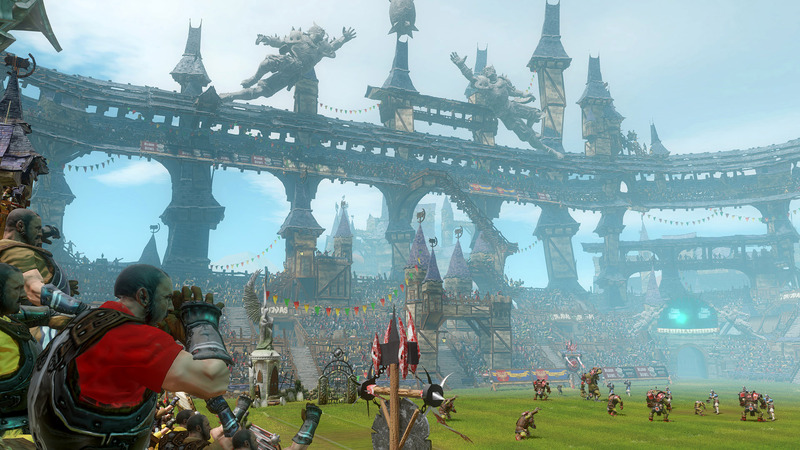 Even if you know little about football or Warhammer, anyone who likes the challenge of a complex strategy game will appreciate Blood Bowl 2 - especially in multiplayer.